A significant redevelopment is scheduled for the Goat Farm Arts Center, an artist community tucked away in West Midtown that’s very well known for its creative tenants and 19th century warehouses. The $55 million project would add apartments and artist studios to the roughly 10-acre complex, according to plans put forward to the Development Authority of Fulton County. The proposal refers to for a four-story apartment building with 240 units, including up to 36 affordable units. The building would be a mix of studio, one-bedroom and two-bedroom units. The project would also include about 50 commercial artist studios and a surface car park lot with 300 spaces. 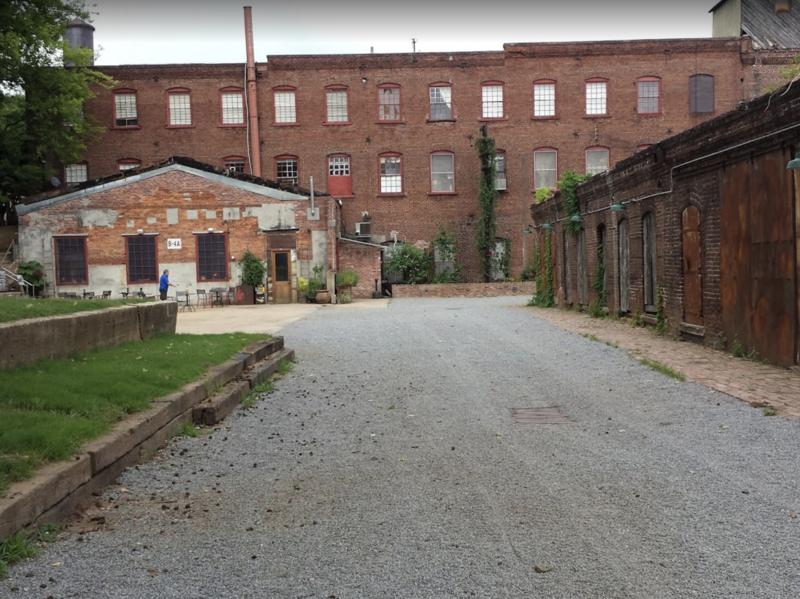 The investment would come to an area where several of the buildings were originally constructed in the late 1800s, have slipped into a state of disrepair and are losing their functionality and ability to operate safely, says a fact sheet on the project. The developer is Goat Farm Development LLC, an affiliate of TriBridge Residential, according to the Georgia Secretary of State’s office. The proposal is scheduled to go before Fulton County’s development authority on March 26. The county will deal with whether to approve almost $2.8 million in property tax abatements over the next 10 years. Atlanta Business Chronicle first learned of plans earlier this year when tenants said they were told to vacate the Goat Farm by the end of the year. Sources told ABC that the Goat Farm will have to temporarily close during the redevelopment. Anthony Harper of Hollister Property Development, which owns the Goat Farm, in February said he could not comment. Harper could not be immediately reached on March 21. Ben Hautt, co-managing partner of Stream Realty, which has developed adaptive reuse projects including the Ellsworth in the Upper Westside, shared his confidence in a project at the Goat Farm. A redevelopment at the Goat Farm comes as property values in West Midtown continue to soar. There’s more than a billion dollars worth of new projects in the pipeline for the area, said Jim Meyer, CEO of Atlantic Capital Properties, which is part of the development team for a $150 million project called 8West that’s bringing 175,000 square feet of office space. “West Midtown is the place people want to be,” Meyer said. Other big developments include Star Metals at Howell Mill, Brady Avenue and 11th, where coworking company Spaces signed a lease, and The Interlock, which landed WeWork.